It’s a bustling friday night in Chinatown, the unpredictable Melbourne weather is finally getting warmer. There's a feeling of excitement in the air, the night is young and alive. We pull into 170 Russell early, grab ourselves a drink and good spot (front and center) in the crowd. 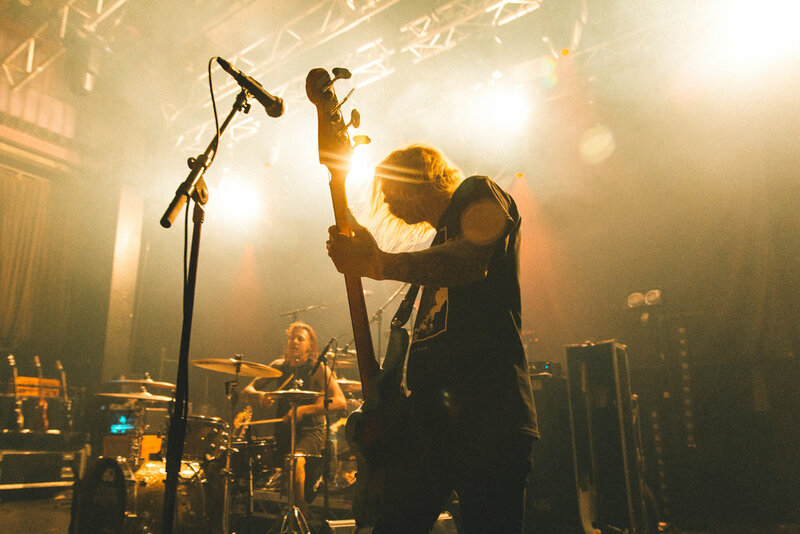 It’s common truth that good things come in threes, and first to greet us from stage were Sydney’s long haired Grunge / Rock trio The Dead Love. With buzzing riffs and driving thrashy rhythms, I felt like I was witnessing a refreshing re invention of the sounds I deeply love. The Dead Love’s songs, while loud and aggressive, also contain simple and catchy melodies, leaning you to sing along (even if you get the words wrong). Between the three of them there is no lack of fullness in their sound. Vocals sway between low drones, powerful belting chorus’s and violent Cobain-esk screams all with an honest Australian accent. The sound is definitely Grunge heavy with thick distorted guitar riffs wavering between major and minors. However, I hear elements of pop punk also shine through in the relationship between the guitar and bass; also in the fast and heavy tom rhythms in the verses. To top it off for me it was the tense builds and lingering moments of dissonance (that i love) in songs like “The End” which take me back to the likes of Nirvana’s “Drain You and Endless, Nameless”. The amount of energy on stage was as captivating as the songs. Hair whips and jump-kicks off the drums were a plenty and the crowd response was a healthy dose of surprised faces and head banging. Next to grace the stage were Brisbane’s seasoned Alt Rockers Young Lions. Opening the set with their new single “Help”, the boys hit hard but were in no way hesitant to show their range of sensitivity and dynamics. Building layers of sonic guitars over groovy bass lines and beats loaded with feel, Young Lions songs can build from atmospheric bliss into explosive choruses with powerhouse vocals leading anthemic melodies that can make any space feel like an arena. Their is a strong sense of maturity in Young Lions music, in their dynamics and structure. No rushing, no dragging, each moment suspends in time with feeling of purpose, while the melody and lyrics are equally heartbreaking and uplifting. There is also a solid pop sensibility to their songwriting, catchy melodies and hooks that easily level with music’s giants. 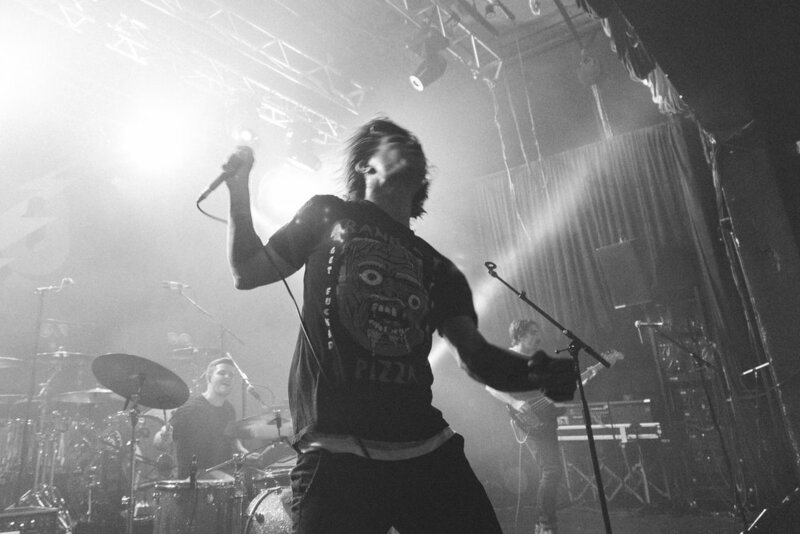 Noted as being one of the hardest working bands in Australia (touring, recording and achieving critical acclaim), this also directly translates to Young Lions live performances. From the first song my attention was captured not only by their sound, but their energy on stage also. Lead singer Zach Britt carries a captivating stage presence that draws you in and eliminates the barrier between the stage and crowd. 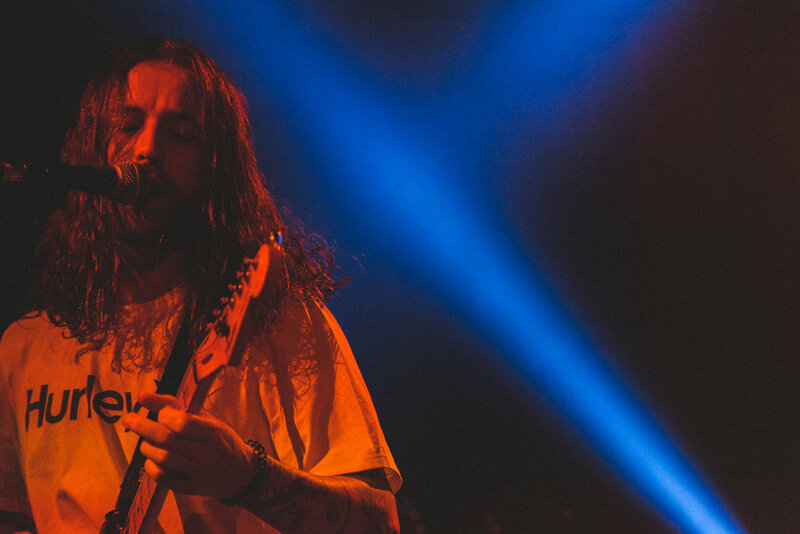 No stranger to getting sweaty with the crowd, Zach spent many moments launching off the stage and into the crowd, even climbing up on top the bar towards the end of the set, holding the whole rooms attention while screaming lyrics weighted with conviction. Another defining moment of Young Lions set was their rendition of Powderfinger’s “On My Mind”, uniting the audience young and old to sing along. The crowd was warm, now they were hot. The venue was now packed to capacity and the energy in the room was getting rowdy. The crowd, diverse, but heavy with excited blokes ready to blow off some steam were beginning to shout and chant for the long anticipated return of New Zealand’s hard rock veterans Shihad. Smoke and Lights showered the stage loaded with amps and a mirror chrome drum kit behind which hung a massive banner with the number 30 backed by lightning bolts signifying the bands career over a staggering three decades of Rock n Roll. 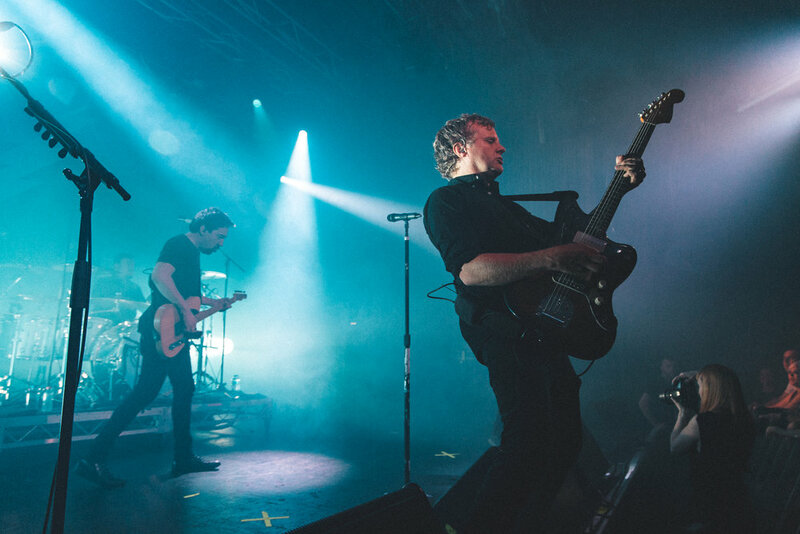 A blackened stage and moody classical guitar intro explodes with blinding lights into Shihad’s opening song “Think You’re So Free”, with deep, driving low tuned baritone guitars and heavy hitting drums, the crowd erupts into euphoric sense of release (of cares, singing, fist pumping and beer in the air). Shihad’s sound is huge, it engulfs my whole body. The aggression of 90’s-00’s hard rock collides with industrial power and it reminds me of what music today has been missing. The bass is low and heavy, the drums are loud and direct, there’s no excessive fancy work or fills, just hard hitting, consistent beats that are primal in nature. You can’t not move. Powerhouse vocals are layered with long delays and reverbs, adding texture and dimension to the lyrics. The guitars are really what capture my attention. 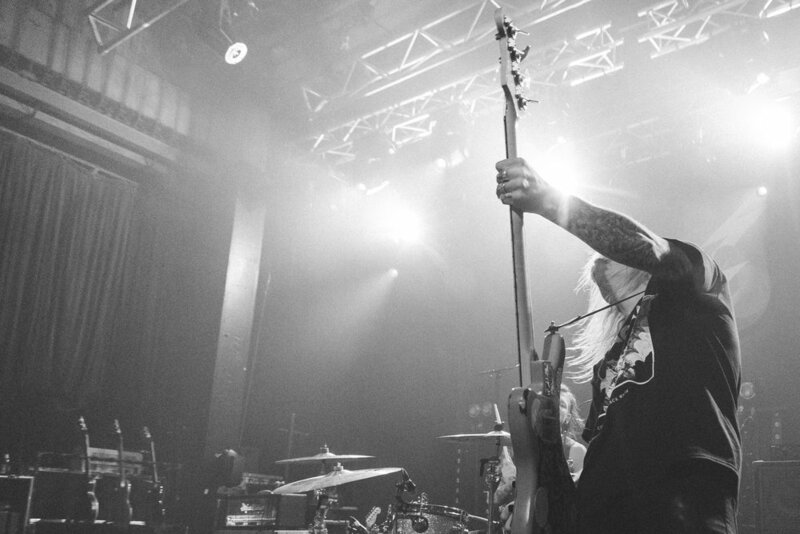 Thick, distorted riffs that cut through the mix. There is something nostalgic about down tuned guitars chugging in rhythmic patterns. To me it’s the sound of my youth, it’s the release of tension and aggression through sound that staples a grin to my face. As I look behind me, to my left and right, I realise It’s not just the sound of ‘my youth’, It’s a sound that spans generations; Fathers, mothers, sons and daughters are all together singing and rocking out. Over 30 years Shihad (Pacifier between 2001-2004) have released nine albums and toured the world, but show no signs of roadware or tiring during their performance. Lead singer Jon Toogood engages the crowd effortlessly, throughout the night having them clapping along, singing in call and response fashion, rocking the metal horns and even shining their phone torches on stage to spotlight lead guitarist Phil Knight during his guitar solo. The energy in the crowd is electric, especially with the middle age men a few pints deep, in the middle of the crowd screaming every word. The setlist was comprised of all the major singles from every album, newest to oldest. Classics like “Home Again”, “Run”, “My Mind Sedate”, “The General Electric”, “You Again” and “Pacifier” all came out blazing in their due time. Banger after banger was balanced with a handful of quieter songs, one a solo vocal track over a backing synth that held epic tension. But the night held a steady ascent as the hits came rolling through one after another. As the night came to its end, I left with a huge sense of gratitude and appreciation for Shihad and the bands alike of that 90’ 00’s era that not only pushed the boundaries of music but paved the way for bands like Young Lions and The Dead Love to continue pushing music’s boundaries and reach for new heights. It was an incredibly nostalgic and heartwarming night, filled with rock n roll fury. 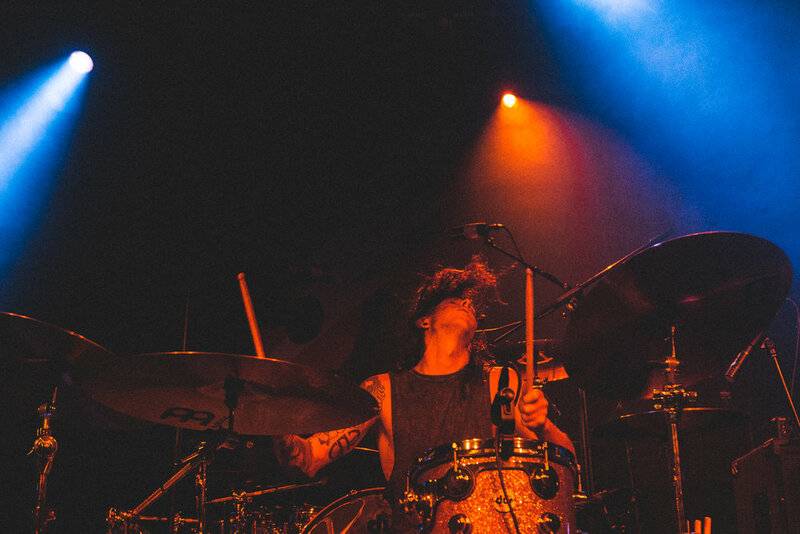 Young and the less young together in one place to celebrate and embrace the music they love. 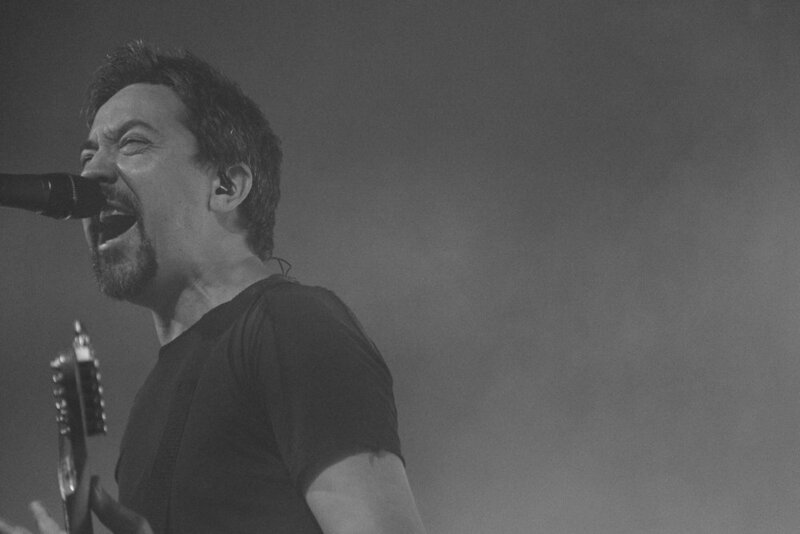 Shihad has held a huge part in defining and setting the score for Australian and New Zealand’s music scene. 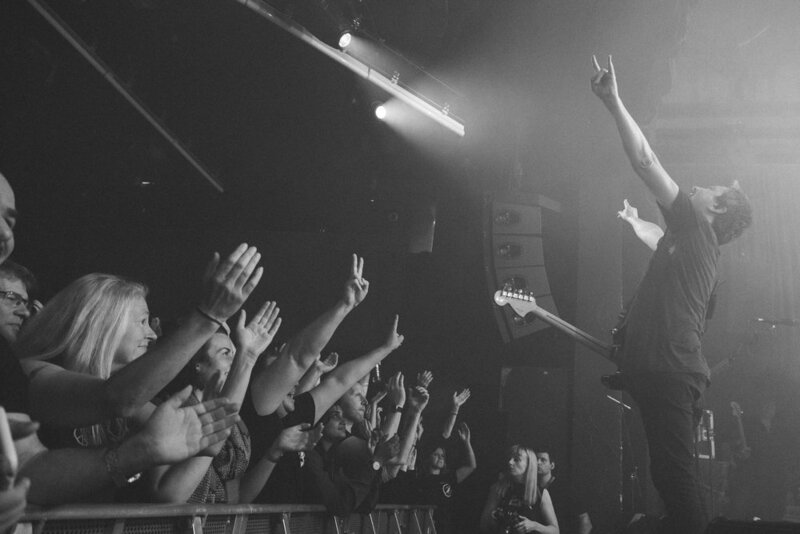 Without Shihad there would be a gaping hole in raw, honest rock music. On the tram home in the early AM, the thought entered my mind, I can’t wait for Shihad’s 40 year anniversary show!